Winter begins and thousands of snowmen attack! 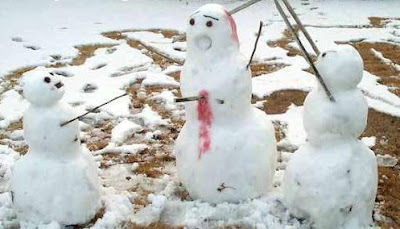 It seems that the recent bout of snowy weather across the U.S. has led to the building of snowmen across the fruited plain. 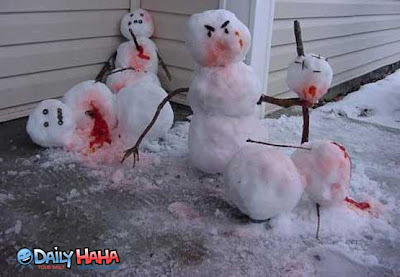 Suddenly, as Winter begins today, thousands of snowmen seem to have come alive, killing anyone within reach, including each other!